Every person’s worst fear is having their precious cell phone hacked and getting their information stolen. 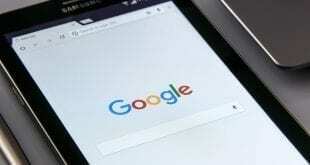 Cyber criminals can hack your Android phone through various ways you may not know about. So, what can you do to prevent your phone from getting hacked? Below, we discuss some methods such as having secure passwords and using the best Android spy app without rooting. The first step to protecting your phone is seeing what’s on it. This includes apps, text messages, emails, photos, videos, and contacts. If there’s anything that isn’t necessary or looks suspicious, delete it. This will not only free up space but make you aware of what exactly is on your Android cell phone. Whatever you do, don’t ignore software updates! 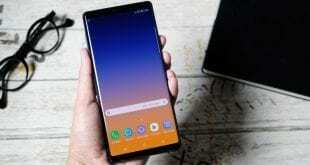 Even though many warn that updating your phone could cause issues, it’s essential your Android smartphone is up-to-date. These updates are meant to keep your phone working properly and provide you with the best security. So, the next time you see a software update message, install it immediately. If you want to check for Android updates manually, here’s how. When you’re out in public, only use secure Wi-Fi networks. Better yet, use your own private mobile hotspot! Public Wi-Fi is the easiest way for hackers to gain access to your Android phone. To lure in victims, hackers are known to create fake public networks that look realistic. Then, when someone connects to one of these fake Wi-Fi connections, the hacker steals their smartphone information. It’s important to monitor your phone’s activities using a text spy android app. 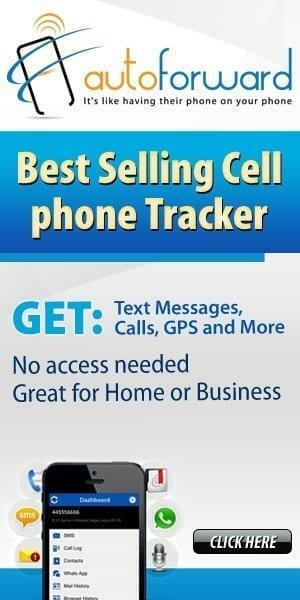 This not only helps you keep track of your own activities, but detects any suspicious actions as well. These apps can track your texts, social media activity, emails, call log, and more. For example, you would be able to see if someone is sending fake texts from your phone. So, what’s the best Android spy app without rooting? 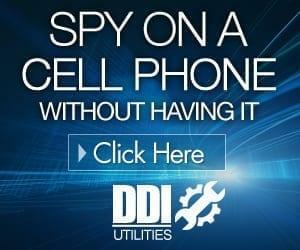 Read our cell phone spy reviews to find out. Before you download an app from the Google Play store, make sure it’s safe and legit. You can see this is by looking at the app’s reviews and permissions information. Even though the store has an app vetting process, some apps created by hackers do slip through the cracks. It’s easy for a mobile app to steal your information. For example, an app could make you agree to a long terms of service document that grants them permission to obtain your data. Also, to ensure non-Google Play store apps don’t end up on your device, turn off the “allow unknown sources” security setting. 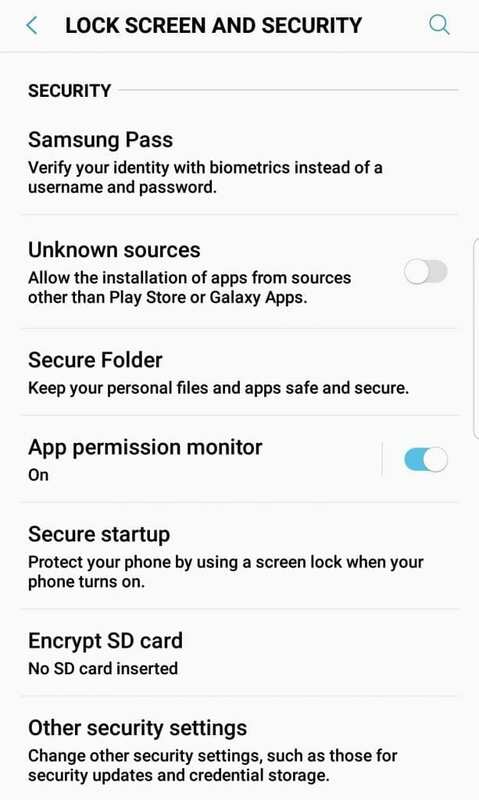 Screenshot of security settings on the Samsung Galaxy Note 8.
Review and utilize ALL of your phone and app security settings. This includes using passcodes, two-step authentication, facial recognition, and blocking unknown apps. While you’re at it, make sure your social media platforms and other online accounts are secure as well. There’s no such thing as being too careful! To stop hackers in their tracks, install an antivirus software program on your cell phone. Have it scan your phone daily, and also do manual scans yourself. If anything suspicious is happening on your smartphone, an antivirus program will detect and quarantine the threat. One of the easiest ways for a cyber criminal to hack your Android phone is by guessing your passwords. To prevent this, make sure to do the following for each of them. Do not reuse a password you already have. The password must be a random combination of letters, numbers, punctuations, and symbols. It cannot have any relation to yourself, like your dog’s name or the street you grew up on. If your cell phone is important to you, don’t leave it unattended in public. A hacker could easily walk past it, grab it, hack your Android phone, and put it back without you noticing. Make sure to have a secure place to keep your phone like in your purse, bag, or a zippered jacket pocket. If your physical phone is stolen, a gadget like Tile would come in handy. When you’re not using Bluetooth on your phone, turn it off. Hackers can gain access to your phone and personal data by intercepting your Bluetooth signal. In September of 2017, there was a hacker threat known as BlueBorne. Hackers used a Bluetooth exploit to gain access to millions of Android users’ data. Even though this threat was stopped, something like this could easily happen again. Watch the video below for a full explanation of what BlueBorne is. 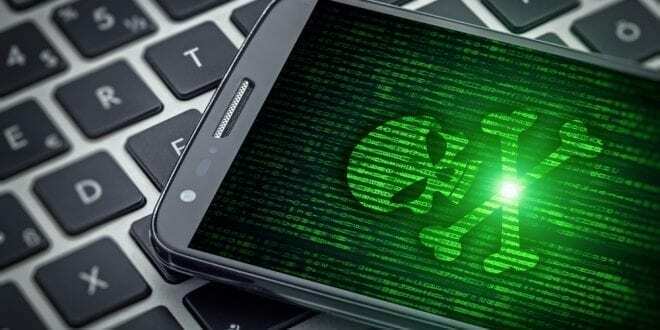 By taking these preventive steps, like turning off Bluetooth and using the best Android spy app without rooting, your phone will be impenetrable. You will no longer need to worry about your smartphone getting hacked. Previous What is Fortnite Battle Royale? 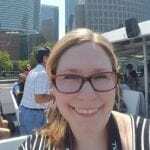 Pingback: 5 Cyber Crime Stories You Need To Know About!